It’s been quite a busy time for Android Wear of late, and there’s no shortage of new and exciting models. Nowadays, though, it’s increasingly becoming tougher to stand out in the field, especially when most smartwatchs now tend to come with pretty convincing designs. 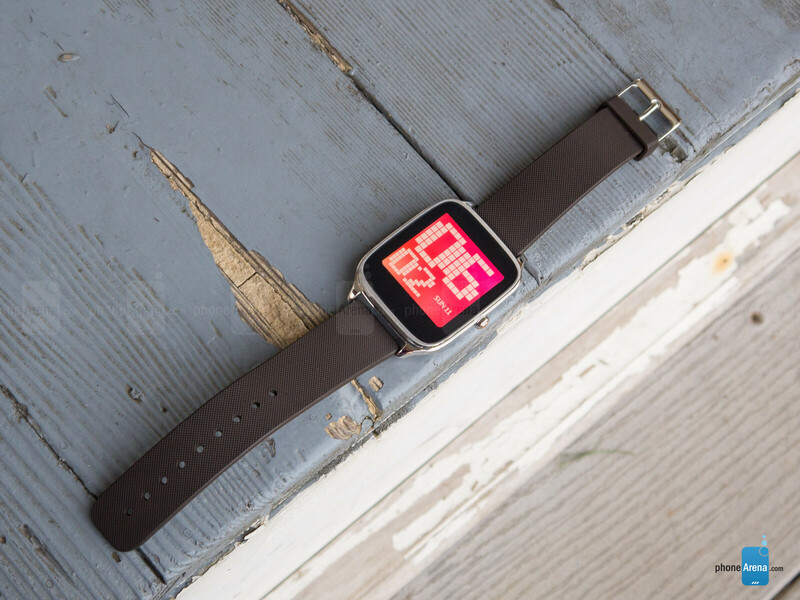 Asus is back for round two with the ZenWatch 2, one of the few that favors a square shaped design, as opposed to the round face styles that have become preferred by a number of makers. What really sets it apart from the crop is that it’s sporting a price under $200 – one of the few to push through that threshold. More colors, sizes, and straps elevates its design, but it’s still largely the same looking thing from last year. Frankly, little has changed with its design. While it still favors the square shaped design, there are now more options to choose from – like its size, case color, and more straps. 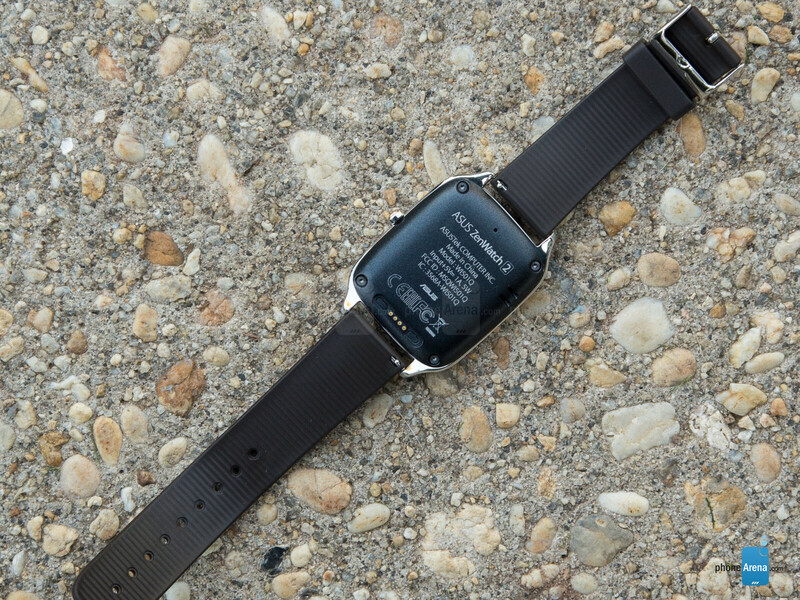 Now that it’s available in small and large sizes, which have screen diagonals of 1.45-inches and 1.63-inches respectively, you won’t have to settle on a single size anymore, potentially allowing it to be a bit more proportional on the wrist. The color options have been increased too, where the casing can be picked up in silver, gunmetal, and rose gold. And its diversified portfolio isn’t complete without a decent selection of straps consisting of rubber, leather, and metal. This is all fine and dandy, especially when certain combinations can deliver a premium or casual look, but as a whole, it still looks closely to its predecessor. Our particular unit, the larger 1.63-inch one, looks okay with its stainless steel case and rubber wrist strap. However, the underside is comprised out of this hard plastic material, which is a stark contrast over the stainless steel bezel – so it just makes for an odd combination. The bigger question that many will face with this one, is whether or not the square shaped design will be appealing enough. If it happens to fit your style, then you might find its design favorable, better than the Apple Watch in some ways. At least you can have peace of mind knowing it has an IP67 rating, ensuring it has protection against minor incursions with water. 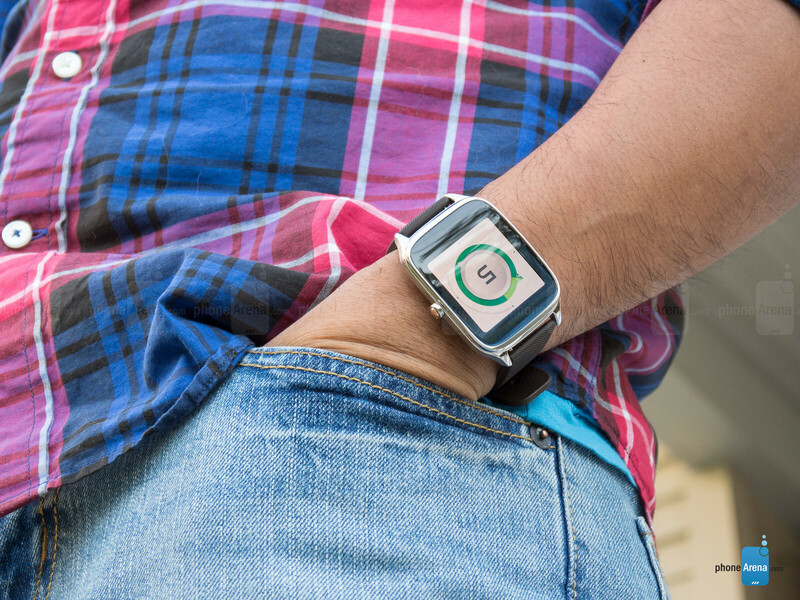 The crown is there merely for the single purpose of ‘activating’ the ZenWatch 2, whether it’s waking up the display by pressing it once, or holding it down for a few second to get access to its various menus. Strangely, the heart sensor from before is gone – a rather shocking turn of events. Even though Asus’ implementation with the original model wasn’t the most ideal, it’s just a bummer to see it gone altogether here with the ZenWatch 2. Making matters worse, you can tell the ZenWatch 2 to “measure my heart rate,” which then proceeds to suggest apps that can do it, but when you run the apps, like Wellness, it can’t even do it. No changes here, it’s the same square shaped 1.63-inch 320 x 320 AMOLED display from before. Looking at the display present here with the ZenWatch 2, it’s identical to its predecessor – a 1.63-inch 320 x 320 AMOLED display delivering a 278 ppi pixel density, which is protected by 2.5D curved Corning Gorilla Glass 3. It’s good enough to make out everything on the screen, but after checking out the Huawei Watch, it’s noticeable that the ZenWatch 2 isn’t quite as sharp looking. Don’t get us wrong, we have no issues in reading out text, especially when we can increase the size of the font, but it doesn’t have as much clarity and definition that the Huawei Watch delivers. AMOLED clearly has some advantages over its LCD rivals, mainly because it can achieve that deep black color, so in the dark, that black color doesn’t have even the slightest hint of grey to it. Colors are undeniably over-saturated here, punchy and overblown as usual with AMOLEDs. 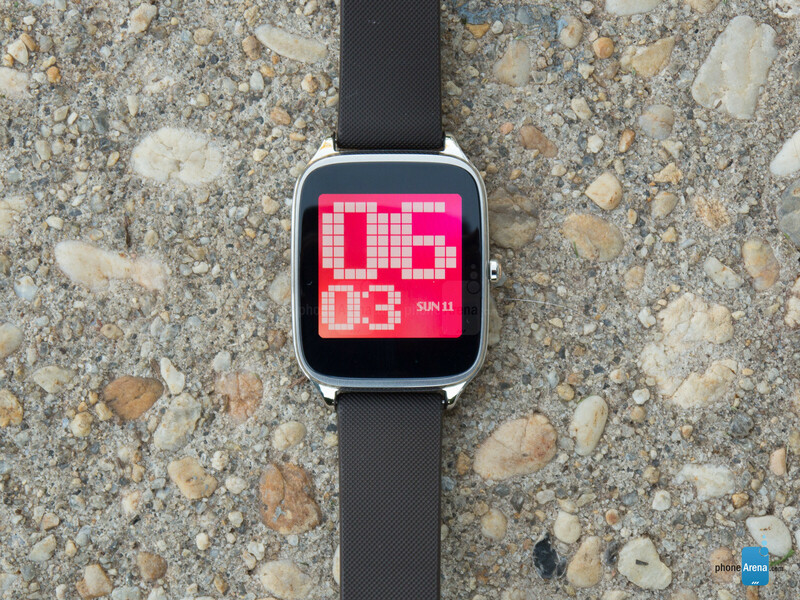 But viewing angles are great, which is something we're happy to have on a smartwatch. Needless to say, the screen serves its purpose, but it’s quite challenging to view in direct sunlight, as its weaker brightness output tends to wash out and make it rather unviewable. There are some good qualities present here, but it all comes back to whether or not you prefer its square shape. Not to bashing Phonearena writers on their reviews ,I find it funny when apple brings a device out after someone else it gets a higher rating. I've got people I work with say the apple watch is useless constantly and android wear does more yet you say its not alplot of apps for it, but I find alot of apps for it. When the second gen apple watch comes out it better have some revolutionary specs and software on it because if it doesn't and phonearena gives it anything over a 7 rating ,I'll make sure your site become permanently deleted from my eye site. Yeah, I agree! As an 8 year employee of Best Buy Mobile and the world's biggest Apple hater, there's absolutely nothing Apple makes that's worthy of a dime of my money! Their products are mediocre, overpriced, overhyped, and useless in comparison to anything android or windows makes! The only reason people like Apple is because they marketed smartphones at a time when no one else did so that's all people know! Apple is like UCLA in basketball decades ago, they had no competition in the West so it was a cakewalk to the NCAA tournament, meanwhile all the great teams in the East and Midwest cancelled each out so by the time they got to the championship, UCLA was rested up, didn't mean they were the best, they were just the best that moment! Honestly, anyone who likes the Iphone and apple watch AFTER seeing what android and other smartwatches can do for the price simply are not very intelligent!!! Oh yeah, speaking of the apple watch, get it wet and see what happens to your $700 investment!!!! Or better yet, try making a phone call from it when your phone is at home!!!! Or try to listen to music directly on it! Nope, I'd rather use my Samsung 3G cellphone watch that's waterproof, makes phone calls, plays music, and cost about $400 less than the apple watch!!!! Wow.. bitter much? I'm not exactly an Apple lover, but I have enough intelligence and sense to recognize that the iPhone and watch are definitely NOT mediocre products. In today's cell phone world, I.. I.. ME.. I.. believe that the iPhone and Android phones are on fairly equal footing. They are on a clear path forward and as the new versions from Samsung (and other companies) emerge, the iPhone and Andriod phone are becoming more similar. Apple makes a great product, there's no denying that. I personally think that Android offers more for ME, and I very much dislike Apple as a corporation. I won't buy their products.. but I still can recognize that they make good stuff. Point taken because on paper, that moto x pure for $399 and unlocked is quite possibly one of the best phones on the market on any network but because it's a prepaid no contract phone, some consumers think of it as an inferior product and will purposely but a more expensive phone with fewer features just for their ego to feel good!! It's like buying an $8 bottle of water because you think the $1 store brand is inferior yet they both came from the same tap!!! this heart rate sensor is the stupidest, unnecessary feature on the android watches that i bet not even 10% of their users will ever use that feature. i hit the gym at least 4 times a week and i haven't used that heartbeat thing even once! as for square design i think it's more unique and even functional than the round shape! 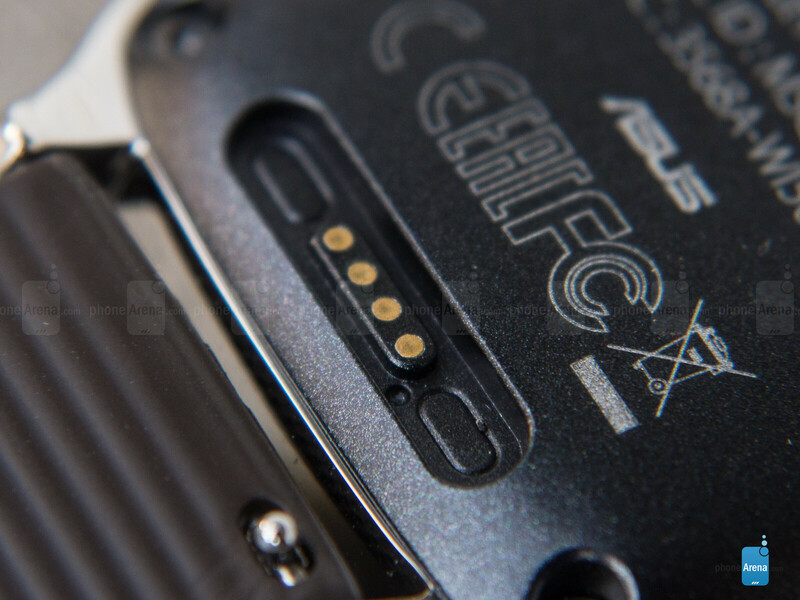 the only blunder of the asus watch IMHO is the huge bezels around the screen! I went to best buy to buy the gear s2 and wound up getting this watch! 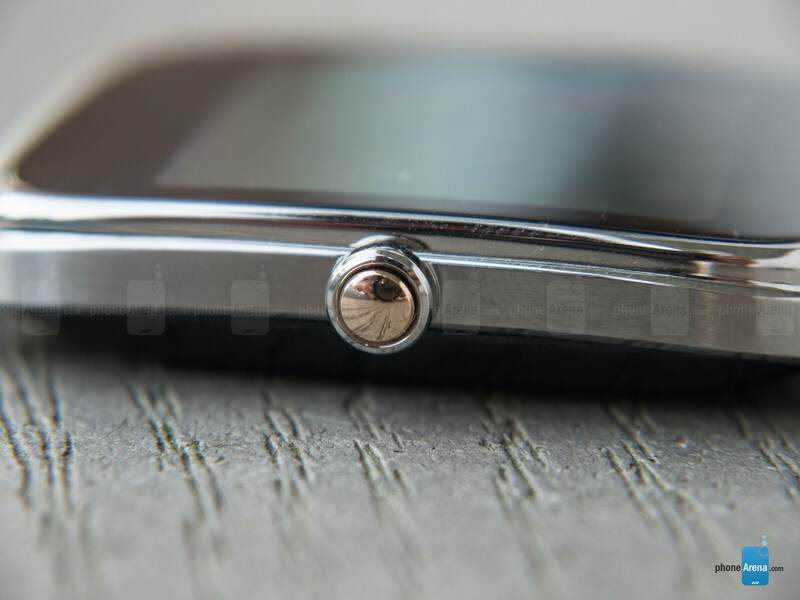 The gear s2 looked like a woman's watch on my wrist, it's so tiny. The Asus looks really classy with it's square design and brown leather strap. The brushed metal with rose gold crown adds to the classic look. I downloaded the companion watch app and that really opened up the uniqueness of the functionality of the watch. Even though this watch doesn't have the functional rotating bezel like the gear s2 it definitely holds it's own. I just saved myself $150! Thank you asus!